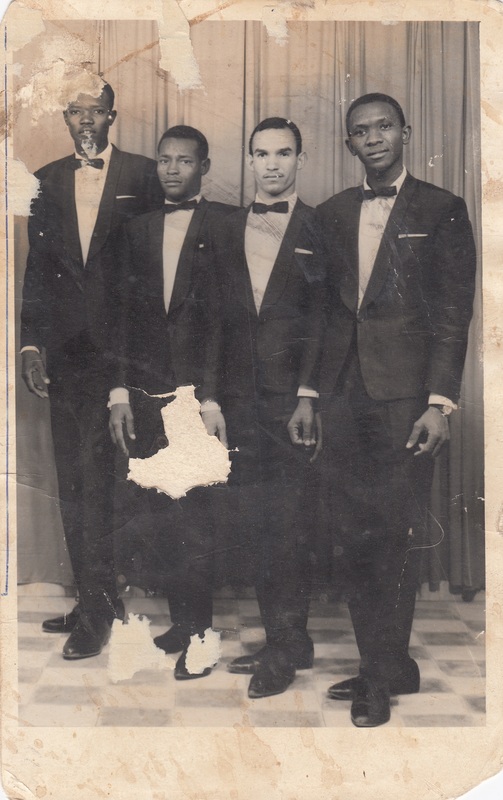 The Scorpions jazz band was formed in 1960. One of its late founders, Al Tayeb Rabeh, joined forces with his friend Amer Nasser to form The Scorpions, which continued to perform until the 1980s. 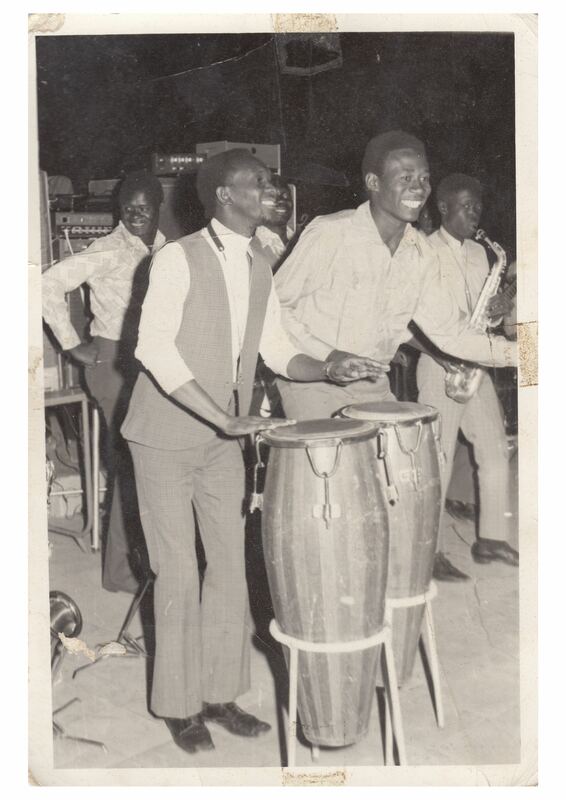 Amer worked hard to become associated with the saxophone and his musical exploits. He was born in Idris in 1944 in the Mawreda neighbourhood, and received his education in Khelwa Kadh El Dam in El ‘Abassiya. His neighbour was Ali Al Rad, whose apartment was regarded as an artist hub. Amer would listen to the older musician’s songs and rehearse them on the sufaret-al-abnus. Amer was also influenced by brass instruments, which he would hear police and army bands play in El Mawarda park. WTM – An interview, conducted by Ameen Rabih and Larissa Fuhrmann, can be read below. 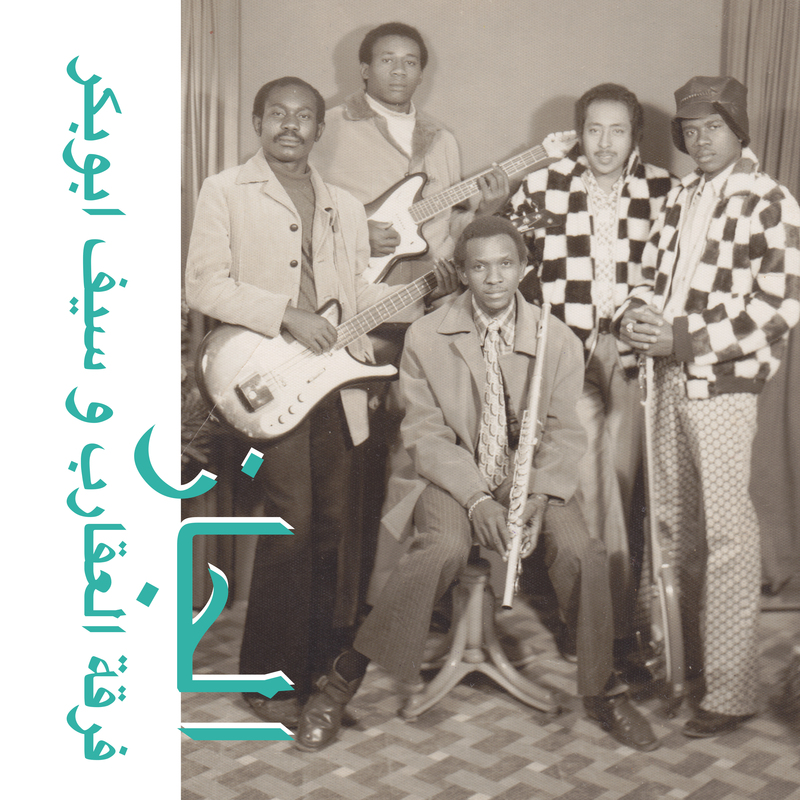 The album ‘Jazz Jazz Jazz’ is reissued by Habibi Funk Records (click here to go to their Bandcamp). How did you get into being a professional musician and being part of The Scorpions since the group’s beginning? 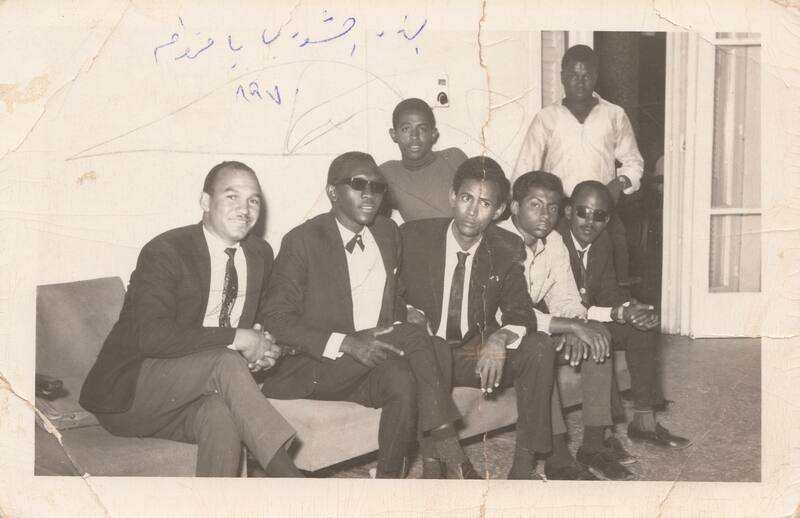 “The first one with a style similar to ours was Sharhabeel; he was the first in Khartoum and Sudan. When we started we wanted to be like Sharhabeel. 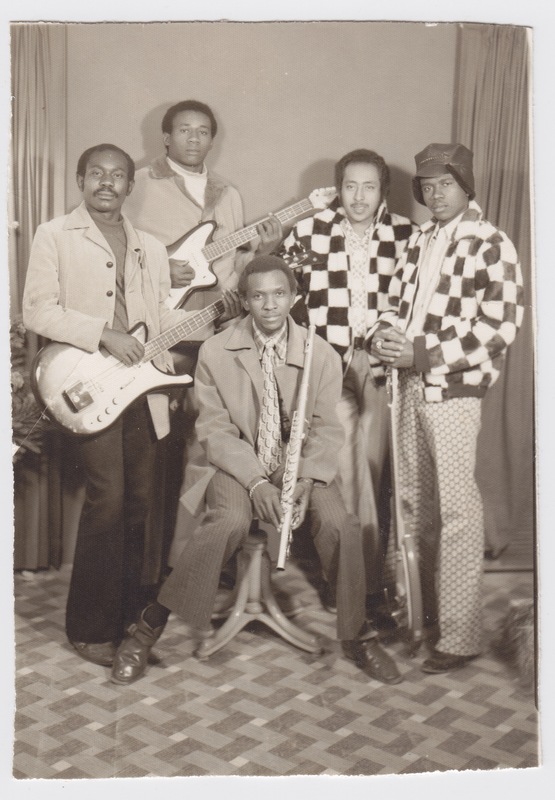 The band started as a group of friends, we collected instruments and stayed together most nights to play at wedding parties and at clubs as well as for television later on. While the weddings were private events you needed to buy tickets for our club gigs. And how did you learn to play the instruments? So in the beginning you started with three people in the band…then you were five members? And can you tell me about your journey to Kuwait? “We went by ourselves and without visa but with the help of our friend Saif (who was also our singer during that stay). And we went there without instruments or anything. At the airport we arrived and waited for Saif to pick us up. Of course they asked us at the airport for our visas and who we were, but we replied not to have any. Saif wanted to help us to get in, so he called the son of the Prince who liked our music. Saif and him were friends. Following, the son of the Prince came in person and said: “These are my guests, give them visas.” This way, we entered the country and made a contract with the television. We went to the shops to buy instruments and from there straight to the TV. After getting paid by TV we went back to the shops to also pay the instruments. That was our first time in Kuwait. But we went once more. The second time we also had a contract with the Marriot Hotel; to us it looked like a ship. This time we had a visa and stayed for a long time. We had an organ player from Jordan and a guitar player from France. Besides Juba and Kuwait, where did you go? Tell me a bit more about those journeys. How did they know about you to invite you in these countries? You went to a lot of concerts? WTM – thanks to Will at In House Press for the interview resource.